Before I delve into the chocolate deliciousness that is in the recipe to follow, let me introduce you to a new idea over here at Jared and Debbie headquarters called The Sunday Paper. For us, Sundays are all about slowing down and enjoying time at home with each other. Whether we’re just hanging around the house, cooking and baking, watching a movie or playing boardgames or out and about getting some exercise in the fresh air, The Sunday Paper is a glimpse into our everyday lives. It’s about the simple things that reenergize us and keep us smiling all week long. We invite you to spend a few minutes of your Sunday with us, and we hope to inspire you to slow down and have some fun with the most important people in your life. Let me fill you guys in on something. I can’t cook. Lucky for me, Jared is an AMAZING cook or else my diet would consist of grilled cheese, canned soup and deli sandwiches. What I lack in cooking skills I make up in baking ability. I can make some killer chocolate chunk brownies, with the assistance of my dear friend Betty Crocker. Who am I to make them from scratch when she’s the master? I digress. While flipping through the recent Crate and Barrel catalog, I saw these perfectly delectable chocolate covered oreos and immediately thought, hey, I can make that! A quick google search provided me with a quick and easy recipe and I was sold. I opted to make a double batch, one chocolate covered and one white chocolate. Step 1: Prep the cookie sheet by lining it with aluminum foil. 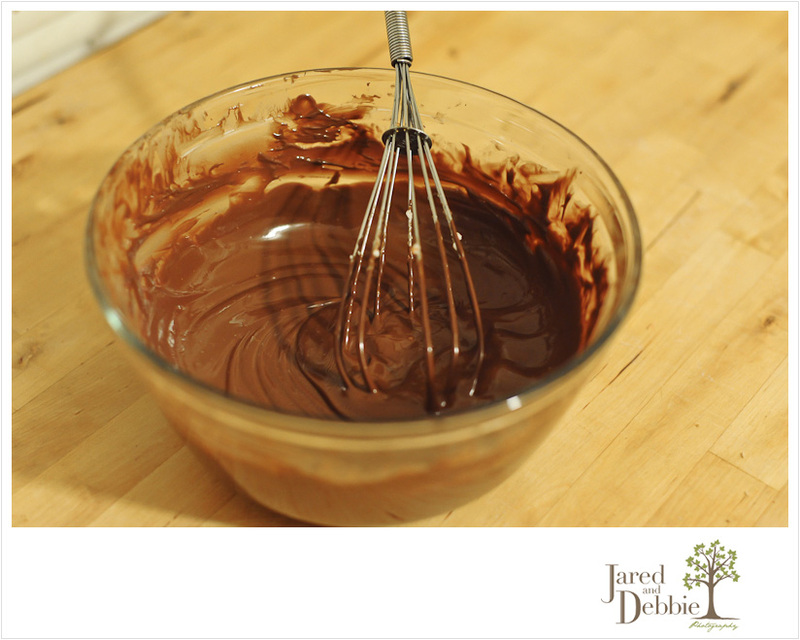 Step 2: Mix chocolate and 1 tablespoon of shortening in a medium mixing bowl. Step 3: Microwave until melted, stirring every minute. Step 4: Drop a cookie in the melted chocolate and submerge it slightly. 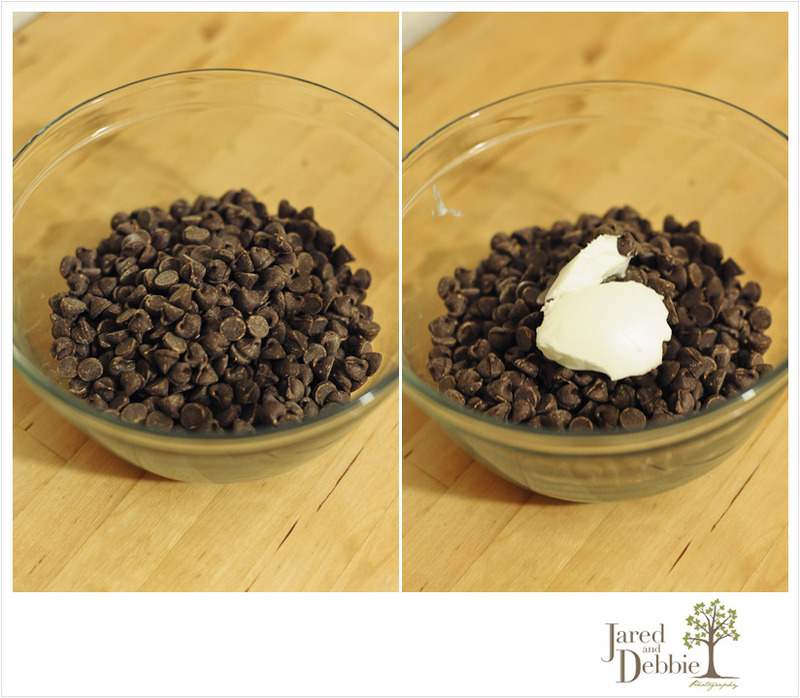 Use a fork to remove it from the chocolate, and tap it against the side of the bowl to remove the excess. Drag the bottom of the fork on the lip of the bowl to remove any remaining chocolate and place the dipped cookie the prepared baking sheet. 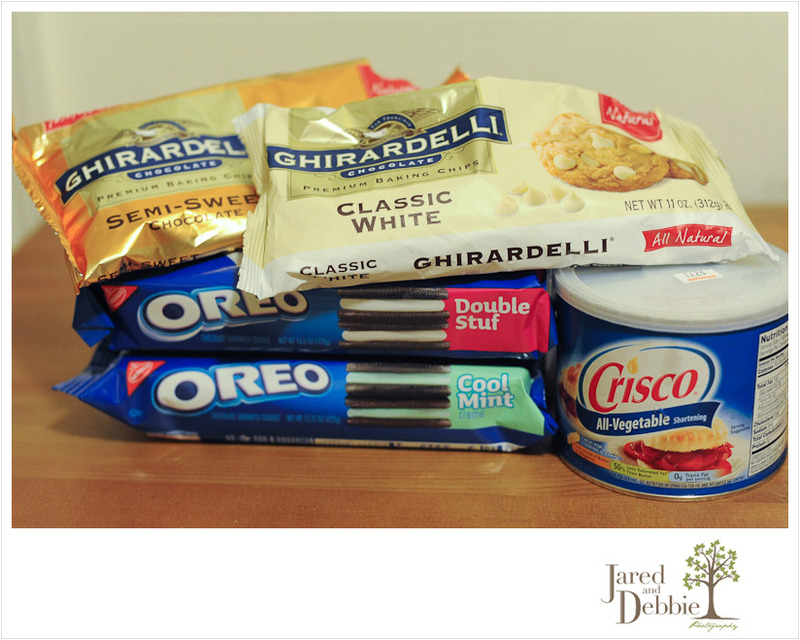 Step 5: Place the cookies in the refrigerator for about 20 minutes to set the chocolate. Step 6: If desired, melt some white chocolate and drizzle it over the cookies for a decorative look. Briefly return the cookies to the refrigerator before serving. Since I made both chocolate and white chocolate batches, I just alternated the left over chocolate I had from each to use as the drizzle! TA DA! Pack them up and you’re ready to knock the socks off the neighbors at your holiday party! The double batch that I did yielded about 40 cookies and I would suggest another bag of chocolate if you don’t want any leftover oreos! catd - I made this for a school bake sale and it was fantastic. Easy and delicious.